Today’s Eclectic Home Tour of Nicola’s Home is a coastal dream house with interiors that give the stunning view a run for it’s money. 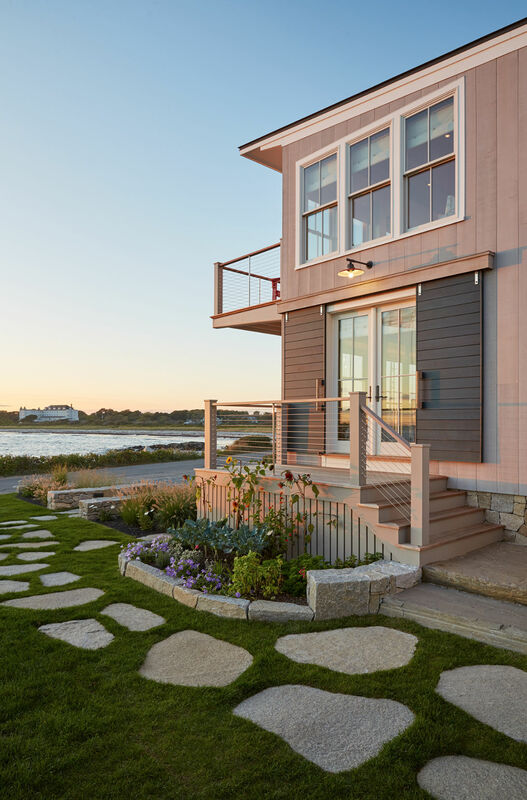 This waterfront home oozes curb appeal from the sliding barn doors over French doors to the colorful flower bed and stepping stones leading to the entrance. 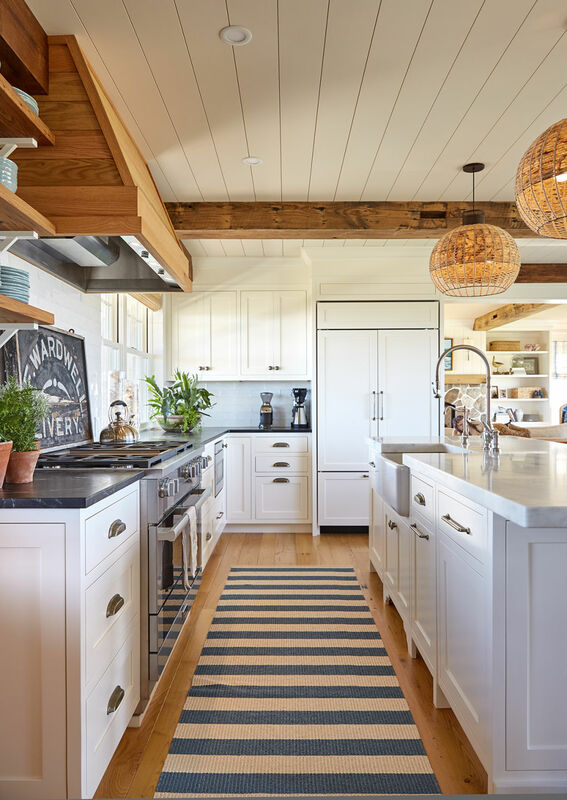 Wood beams, a shiplap ceiling, open shelves and a farmhouse sink add warmth to this white kitchen. 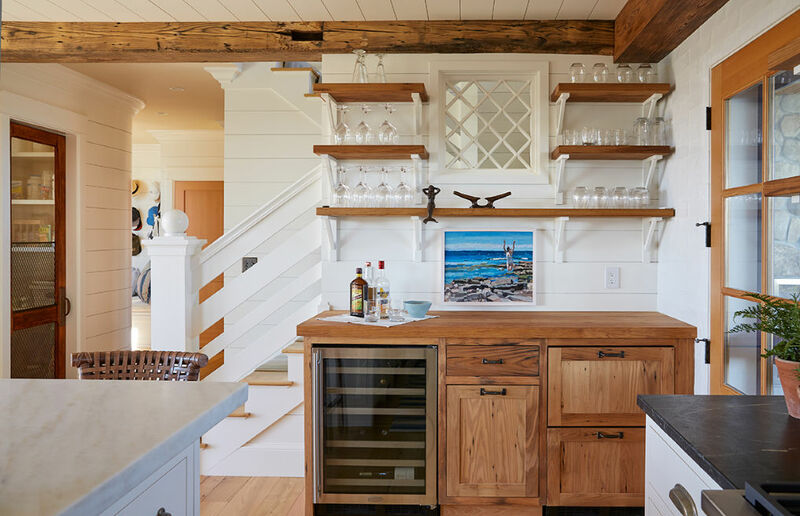 The natural wood bar and shelves tie in nicely with the old wood beams. An old screen door leads to a walk in pantry with a view. 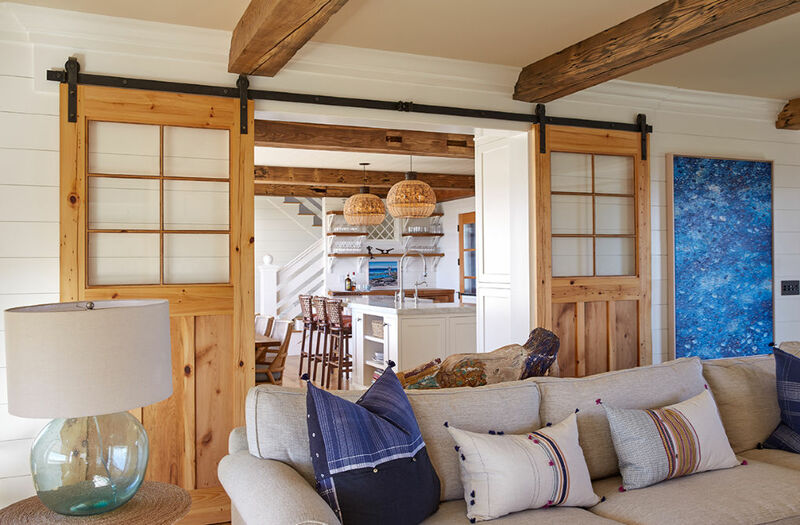 White walls and trim are the perfect backdrop for colorful art and sliding barn doors. A massive stone fireplace is a beautiful focal point in this cozy family room. 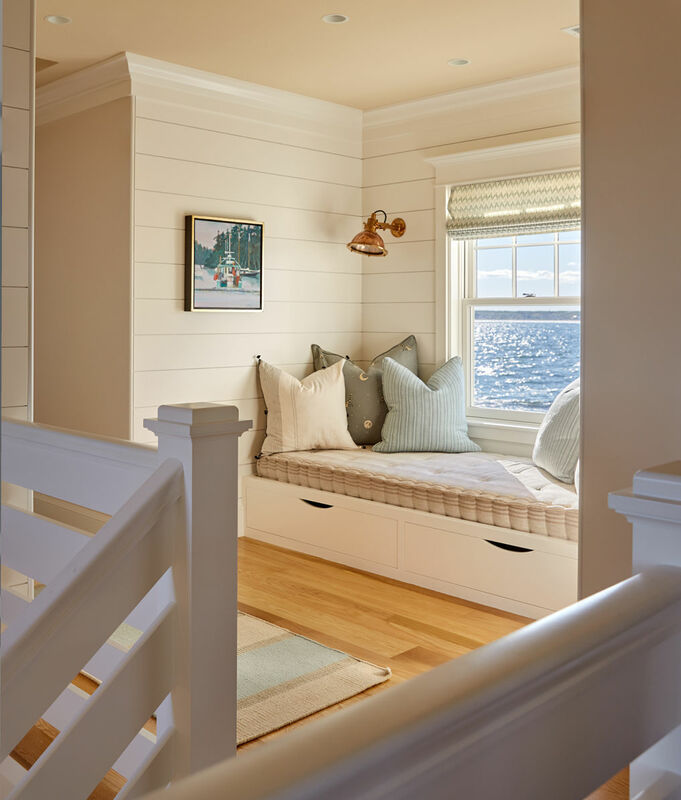 A built in window seat with storage underneath means there is no wasted space in this home. 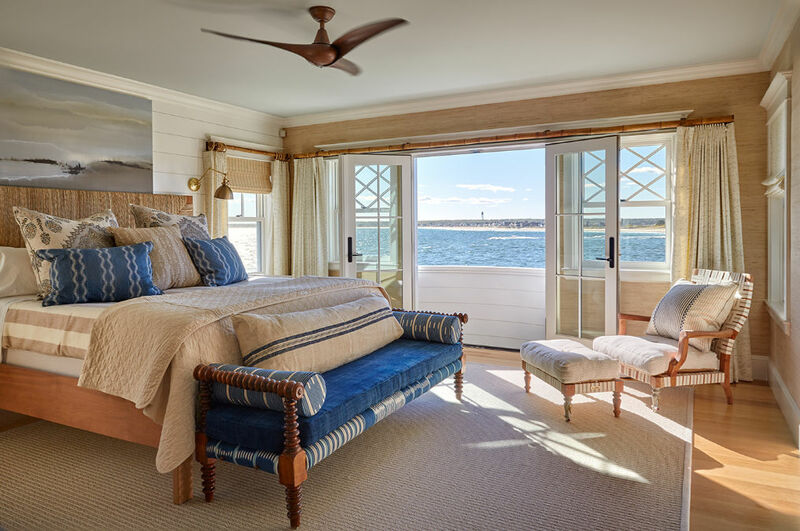 Blue bedroom accents mimic the ocean view that is the star of the show. 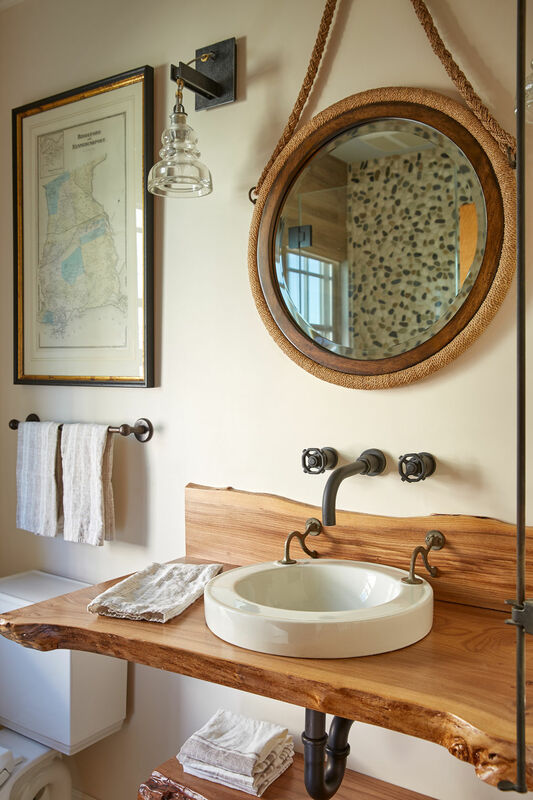 A live edge vanity is a one of a kind piece. 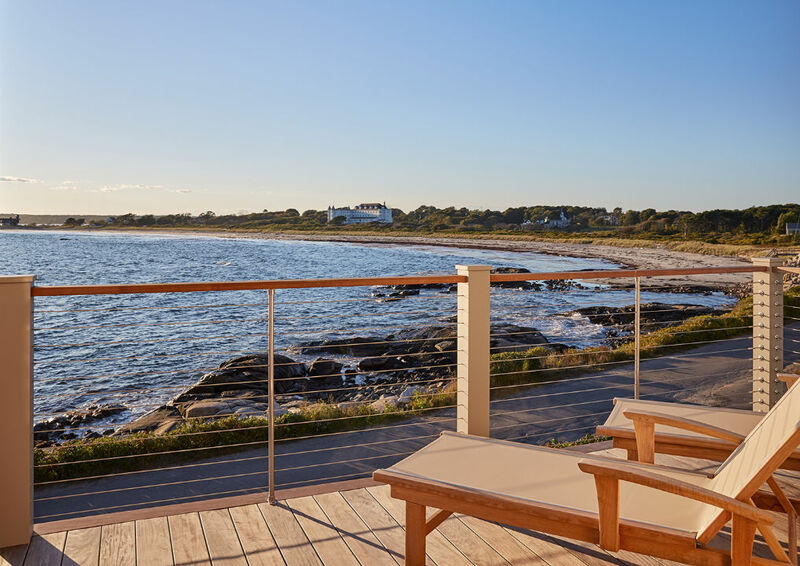 The best seat in the house overlooks the water. Nicola is so lucky to call The Barn her office – make sure to visit Nicola’s Home to see more of her design work. 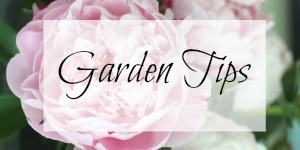 I’ve filled my Amazon shop with lots of eclectic finds for every room and season. Loved the tour and all the beautiful details of this home. Everyone needs a barn like that Shannon! Well that was jaw dropping! 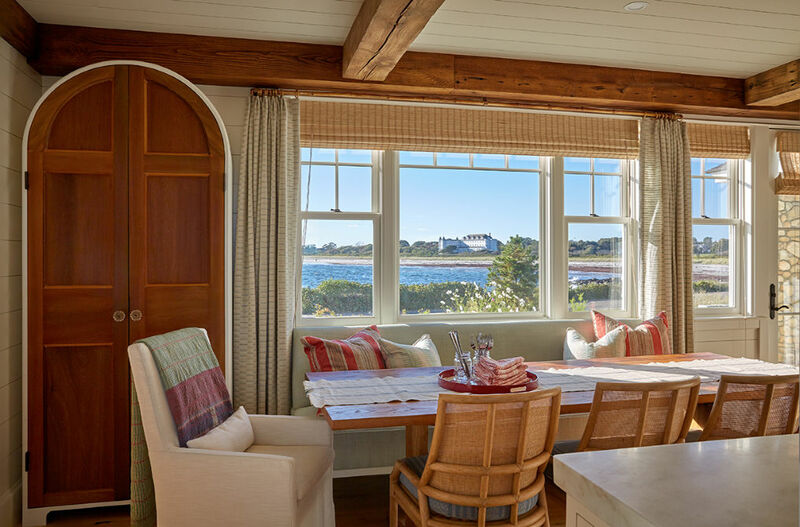 An ocean view outside every window!! An amazing home. 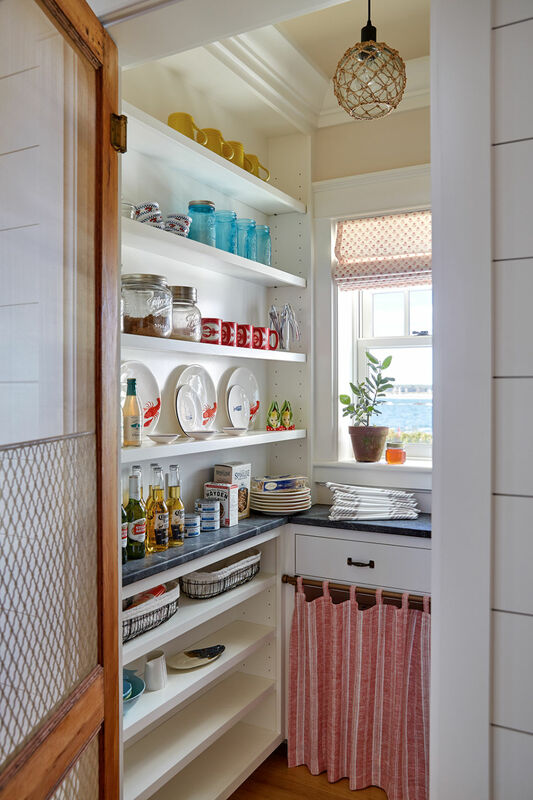 And I loved the vintage screen door on the pantry. I need a screen door for my pantry now! Love this beautiful layered home, with wood, white and rock and then that view. I could spend a month there for some R&R, heavenly!! Was thinking the same thing – this is the perfect vacation home! Stunning home with wonderful views. Thanks for sharing. 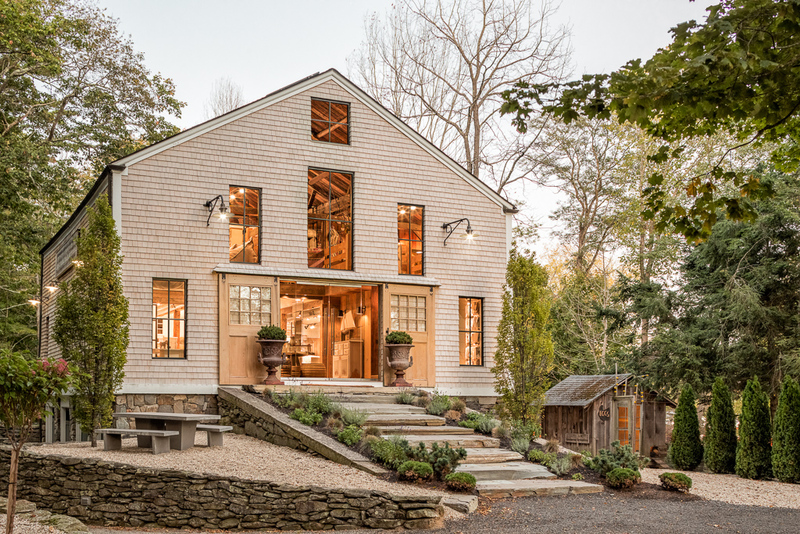 This home makes me want to move to Maine! 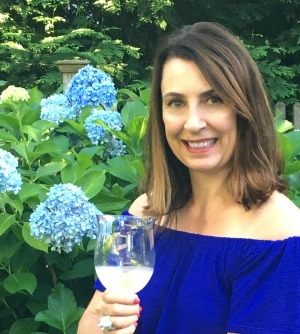 i loved every detail of every room….. the home is stunning……. 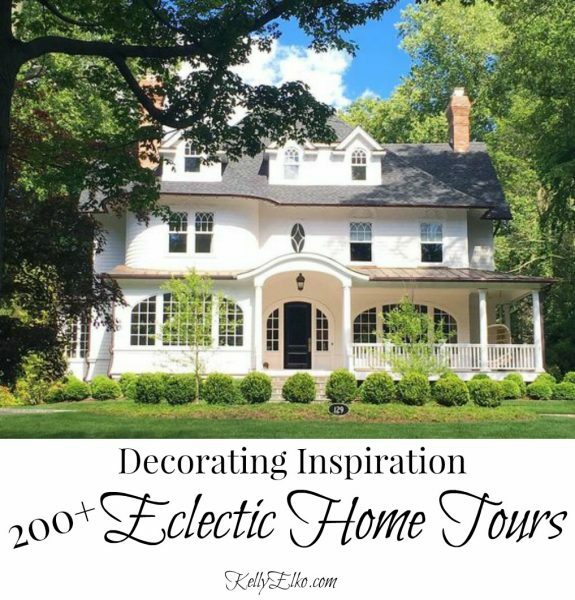 I agree – this is one of my favorite home tours yet! Barn for an office please??? My office is a corner of upstairs rumpus room, with a view of….our court! At least I can double as a security cam as I type. The views, oh the views! And wood beams? 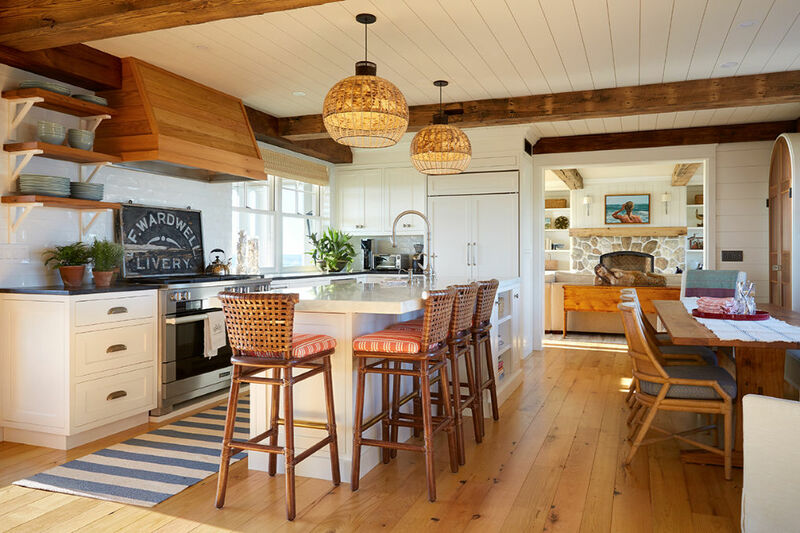 I dream of wood beams for my beach house (which currently exists only in my mind). I hear you Karen! 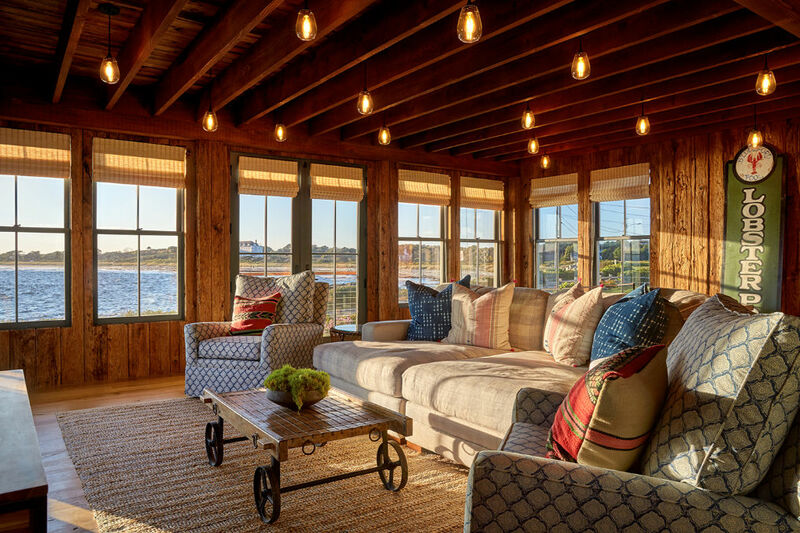 Oh what I wouldn’t give for those ocean views and every detail inside. Look on the bright side – if you ever decide to quit blogging and painting furniture, you have a future as a security guard – watch out Paul Blart!! I could move right in too Jeanne! 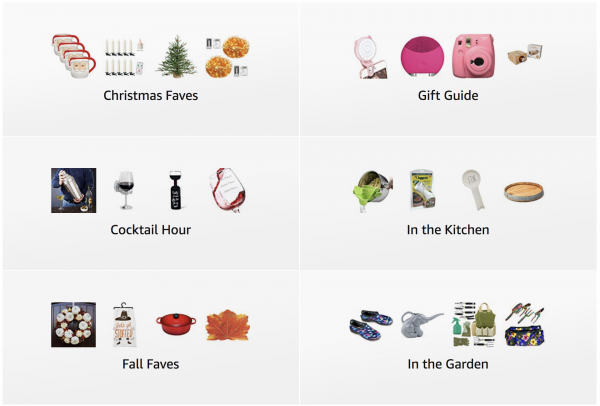 Do you use Pinterest? If so, just pin your favorite images to a special board for future reference. I have been posting much less frequently and only when I have something worthwhile to say!! Hope you have a lovely day and thanks so much for taking the time to comment – I appreciate it!